The new ProDAQ 6150 is an LXI instrument designed for up to 48-channel of isolated precision thermocouple measurements. The new ProDAQ 5828 Isolation Amplifier Signal Conditioning Card provides input channel-to-channel and channel-to-ground isolation of up to 350 VRMS with a full power signal bandwidth of 50 kHz. Our new brochure "When Data Acquisition meets LXI" is now available for download. Take a look and get an overview of Bustec's solutions for Data Acquisition Systems using LXI. New brochure "Measurement Solutions for High-Performance Test and Data Acquisition" available for download. It provides an overview of Bustec's range of products for high-performance, high-density test and measurement applications. LXI and VXI carrier systems. 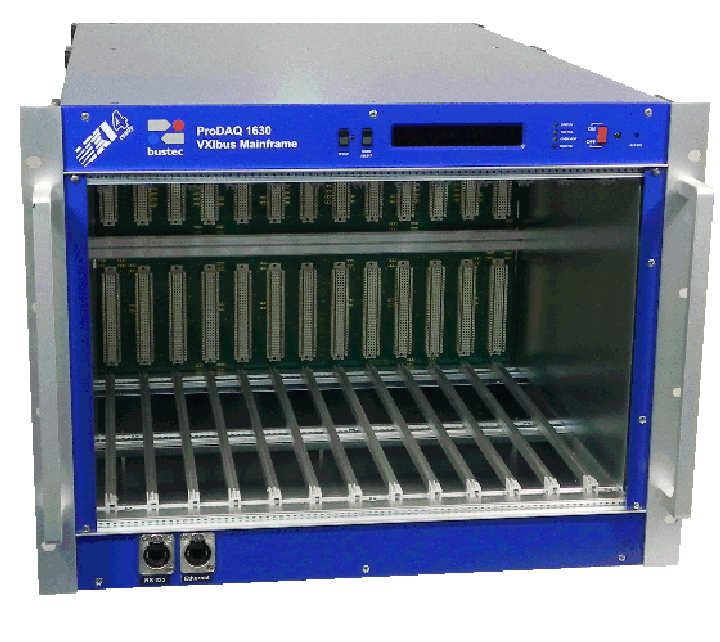 NEW Bustec releases a VXI rev.4 compatible Mainframe with 2.1KW usable power. It now enables systems to use the new high-speed data transfer modes with up to 320 MB/sec. 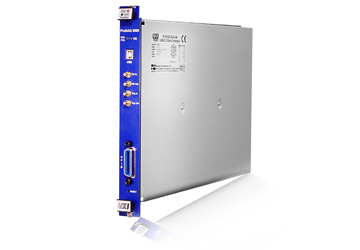 NEW Bustec's High Accuracy, High Density ADC ProDAQ 3416 Offers Now Up to 52 kS/s Sample Rate for Slow- to Mid-Range Applications. Bustec demonstrates continued investment in developing VXI interfaces with fast embedded processors in a single-slot solution. Bustec recognized for a focus on technology and the customer with the Global Customer Value Enhancement Award. Select a value below to quickly find a Bustec product to meet your needs. 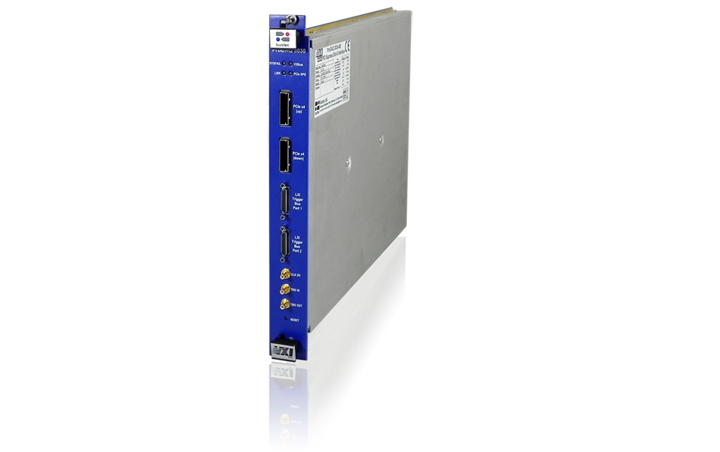 A C-size, register-based VXIbus module that provides a direct connection from a PC to a VXIbus mainframe using the high-speed PCI Express serial bus. 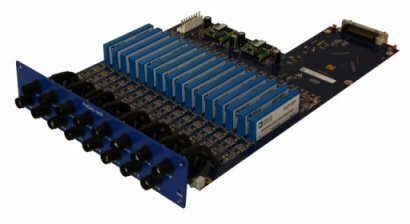 Our unique, advanced ProDAQ technology enables a complete Data Acquisition system to be built on one single-slot VXI module with up to eight different functions or in a LXI carrier with up to four different functions. It cuts development and build time - and reduces size. Full details about this system and all the modules are on this site.